GCC will help with your FAFSA and other financial aid questions on Super Saturday, Feb. 4. See flyer. Michael Farris, Germanna's Financial Aid Coordinator, answers questions in a MoneyTalks Fredericksburg.com chat. Nothing is going to stop Melissa Eadie—or even slow her down. 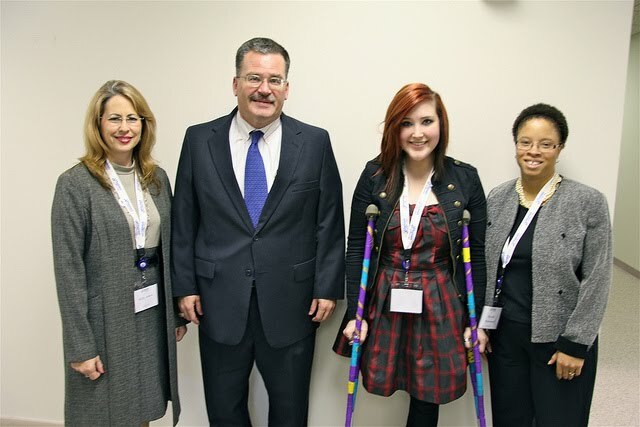 She lost a leg to cancer just before Germanna’s Fall semester began. Without hesitation, she forged ahead, taking a full slate of classes as a GCC work study and doing quite well, thank you. That comes as no surprise to those who know her. She’s a ballet dancer and has vowed to dance again. 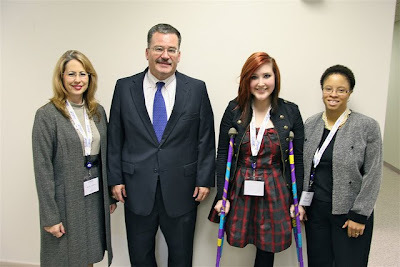 Last week she joined a group of Germanna students visiting members of the state legislature. She blogs about it here. From high school football hero to war hero to college football hero? Great story by Adam Himmelsbach in Sunday's Free Lance-Star on GCC student Daniel Rodriguez. Rodriguez, a Stafford resident, is attending Germanna on the GI Bill. A camera crew from Dan Rather Reports is set to visit the Germanna Stafford Center early this week for a story on Rodriguez, who starred in football at Brooke Point High School and planned to go to college before his father died of a heart attack just prior to graduation. he enlisted in the Army and was decorated for valor in Afghanistan. While studying at Germanna he's been working out, hoping to fulfull his dream of playing college football. Now Virginia Tech and U.Va are interested. Germanna President David A. Sam writes about what 2012 may hold in store for the area's business climate in Business Insider.